Thanks! Your request has been sent and one of our agents will contact you shortly. Find Government Programs that Can Help You Afford The Home You Want. If you want to purchase a home but don’t currently have the finances to do so, a mortgage loan is a great way to get the home of your dreams without paying for the full value upfront. There are several types of home mortgage loans with varying term dates, interest rates and monthly payment requirements. 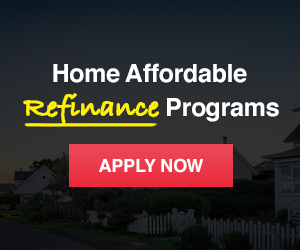 The process can be tedious but by taking the proper steps and precautions, you can get the loan hassle-free. A lender pre-approval letter shows a real estate agent that you are a serious and trustworthy buyer for a home purchase. To be approved, a lender will look at your credit, income and assets. Once they’ve determined you are eligible for a loan, they will write the pre-approval letter. It is usually valid for two to three months but the time frame varies by lender. Keep in mind this does not guarantee loan approval which is contingent upon additional conditions. Now that you’ve been pre-approved, you can begin to look at homes. Finding a home can be difficult but the right real estate agent can help you narrow it down to the one that’s best for you. Once you have picked your ideal home, it’s time to make an offer and start negotiations. During this stage, you are required to put down earnest money, which is generally 1 to 2 percent of the home’s sale price, and this goes toward your down payment at closing. Filing a loan application is the next step and entails providing numerous documents to the bank or lending institution for a full review. They often include employment records, income details, assets, debts and any financial missteps in your past such as bankruptcy or foreclosures. From there, lenders will present a loan estimate based on the type of loan you are looking for and the information you’ve provided on yourself and the property.